To provide opportunities for young players to succeed, you should identify the roles best suited to each player—the ones which enable them to immediately contribute to the team. A child’s sense of success comes from performing certain tasks well. Each child has his own actual and potential set of abilities, body type, personality, and level of confidence. As a youth coach, it’s your job to match these traits to the specific individual and team roles that best fit each child. Let's take a look at how you go about this task. As your kids scrimmage and perform drills, note each child's strengths and weaknesses. See how they react to your instruction. Are they eager to try new things out or are they shy? You want to teach everyone everything, but when possible, tailor the message to each individual's own unique personality and learning style. As you absorb all of this information, you will likely start to see the team roles that are well-matched to each child. Take some time with this process and let it play out. By finding and assigning appropriate roles, you will give each child a better opportunity to experience authentic individual success. And in doing so, they will experience a sense of fulfillment knowing they have meaningfully contributed to their team. 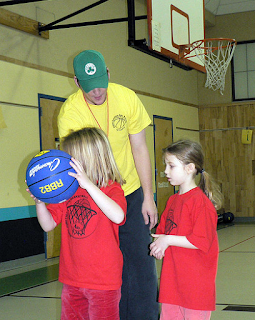 When assigning roles to a player, it’s important that you do not limit a child’s potential. In practices, you should teach every skill to all of your players. Highlight the need for each player to practice newly learned skills on their own. Expose each child to different positions and roles. Judiciously look for game situations that can challenge and stretch a player’s abilities (putting newly mastered skills to use). A child’s physical traits and skills will often undergo quick transformations and you must teach toward this possibility. It is essential that you teach beginning and less skilled players how to play a specific role. Many times, these players are overwhelmed by the speed of the game, its rules, and their physical immaturity relative to older or more experienced players. They often cannot process game information fast enough and may feel that they can’t compete because of their body type or lack of skills. For these players, roles simplify the game. The tasks associated with each role represent realistic, achievable goals. They provide the beginner an opportunity to make a difference and contribute to the team’s success. When I am faced with instructing a child who has never played basketball, I usually concentrate on two roles: staying with their opponent on defense and setting screens on offense. Many young beginners initially lack the concentration to stay with their man on defense, tending to look at (and move toward) the ball. Getting these players to position themselves between their opponent and the basket is often a challenge. On offense, most first time beginners cannot dribble or shoot the ball well. They may also struggle passing the ball. Providing these beginners with a specific position in an offensive set, and having them set a screen toward the ball is a good starting point. With these simple roles and assigned tasks, a beginner has a framework for success that they can understand and goals they can achieve. As their skills and knowledge of the game increases, their roles are gradually expanded to include more responsibilities. It’s also vital that you emphasize the importance of these roles to the team’s success. Each time a beginner performs a positive action, shout out some encouragement! Make sure that other players see your reaction so they understand the importance of the beginner’s contribution. In basketball, when one of my beginning players sets a screen during a game that frees a player to score, I loudly congratulate the beginner from the bench. Do it in games. Do it in practices. You will start to see smiles appear on the faces of these beginners as they too realize that they can succeed and play a meaningful role. I think giving beginners a specific task to do during a game is a good idea. It helps keep them focused and lets them contribute to the team in their own way why they work on other skills at practice.